Put a new spin on your music with the Pro-Ject VT-E Wireless Turntable. 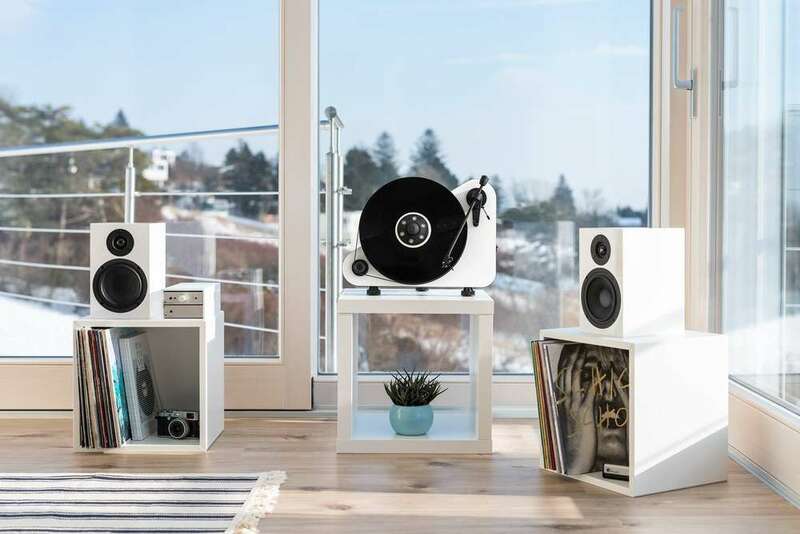 Easy to setup and use, this incredible music player actually holds your vinyl albums vertically in the air. Instead of a traditional design, the VT-E Turntable uses a belt to seamlessly rotate the record. As much as a delight to your eyes, this turntable also produces stunning sound. In addition, the VT-E Turntable features an 8.6-inch aluminum tonearm as well as an ortofon om5e cartridge.